It’s a pride for me to be a part of Microsoft Innovative Educator Expert (MIEE) 2015. There are lots of things I can get to apply in teaching activity letter. I have many new friends to involve in discussions and collaborate either from my country or overseas. There are many opportunities for giving workshop to other teachers and schools so that I also have chance to give contribution to develop better education. If I am not a part of MIEE 2015, it will be hard to involve in the discussion and collaboration with overseas teachers. If I were not chosen to be MIEE 2015, I would not have free pass to provide many trainings to the teachers and schools. For this, I would like to thank Microsoft that has given me trust to join as Innovative teacher in MIEE 2015. It’s a amazing experience for me when I have opportunity to give workshop. I was used to speak in front of students in teaching activities, but in this occasion I must be able to train this skill to many professional teachers. Moreover, it makes me proud when many teachers join this training and there are very enthusiastic. 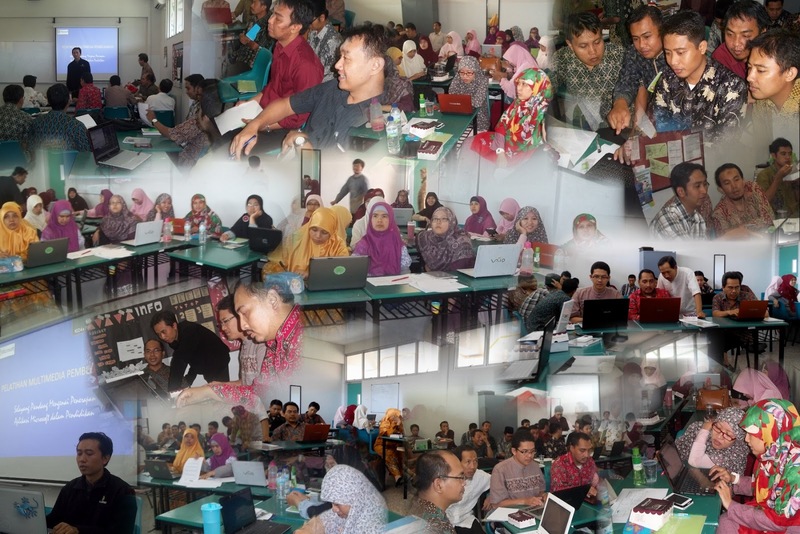 They showed a hard effort to apply my training in their teaching and learning process in the class. When I gave training of Onenote toolkits for Al Hikmah Secondary and Senior High School teachers, coincidently, the managements of the school were being supervised by External ISO auditor from Jakarta. One of the teachers was the coordinator of ISO supervision in Al Hikmah Secondary School. He, letter, rearrange all the administration for ISO supervision Preparation by applying Onenote after he got my training. When the supervision began the ISO auditor team from Jakarta were very excited with the arrangements of Al Hikmah Secondary School administration using onenote. They said:” it’s the first time we see the arrangements of administration document using this way, very excellent.” ”what’s was the software?” they asked. Implicitly the ISO auditor team also learn how to operate onenote. As the trainer, I am very happy to know this result. There is a special satisfaction when I see the software I trained can give contribution to many people. 0 Response to "Workshop Ms. Onenote in Al Hikmah School"